I can't draw a full body image of my character, plus I can't make my character look non-girly. I like how the hair and face came out, but the shoulders and ear look weird to me. I hope to improve this drawing in the near future. 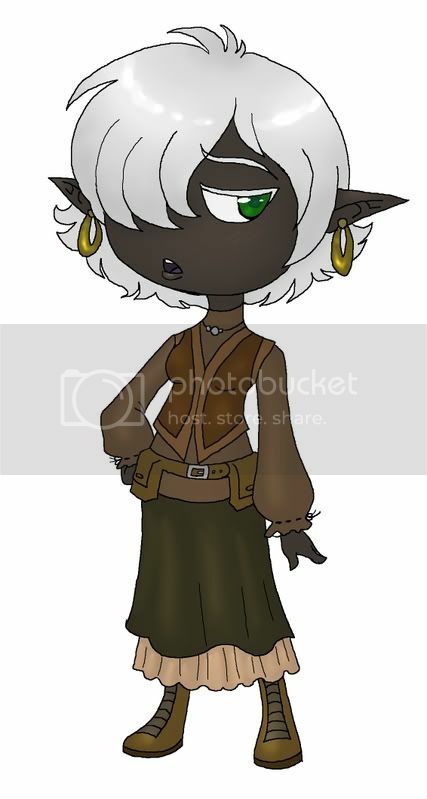 Character of mine, Alinei, a former Sullissin'rune noble who is now a clanless peasant. This however does not impede her from being an interesting character. It took me a while but I drew a picture of (left to right order) Trinita, Vithor, and Durlyn. note: I'm aware that Vithor has tattoos and scars on his face and body but i didn't want to ruin my drawing. Yea, I just noticed that to.. Indeed it is, I suppose some people have to use the appearance of characters someone thought up. Not to mention using Drizzt in a community of people that are at least somewhat familiar to his is pretty thoughtless. Akimorou wrote: Indeed it is, I suppose some people have to use the appearance of characters someone thought up. Not to mention using Drizzt in a community of people that are at least somewhat familiar to his is pretty thoughtless. Using Drizzt as a reference for anything in your character is typically a very bad idea. Well outside of saying, "Yeah he's a Drow, you know like Drizzt." Then yes, tis a very, very bad idea. lol Next thing you know Salvatore joins the forums and goes all legal jargon on him. 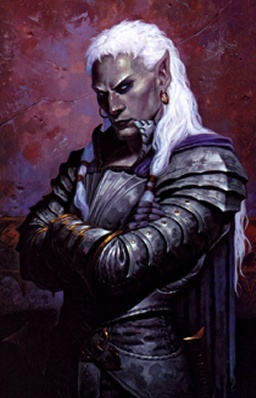 Granted in his defense Drizzt is in a good number of pictures if you search Drow in any search engine, but you should always make your character out of your head, not some random picture you found. 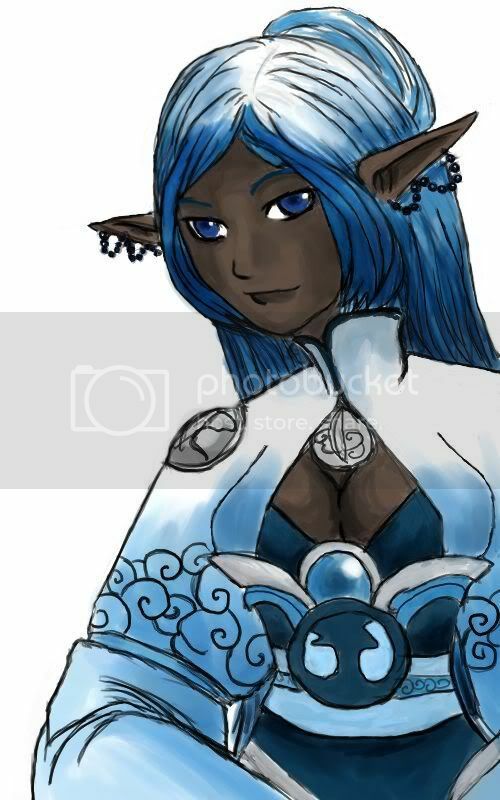 It's always nice to see how others envision my character. Finallly, my character in the DT;RP, Suru'sunduiri! Last edited by Sonor Val'Illhar'dro on Sat Sep 05, 2009 8:30 pm, edited 2 times in total.